Derek Jeter has several homes. During the off season he lives in Florida (Tampa Bay). But during the baseball season he stays in Manhattan in New York City. He also has mansions in Marlboro in New Jersey and in Greenwood Lake, NY. Jeter was born on June 26, 1974 in New Jersey. His father Charles works as a counselor. He has a sister named Shirlee. When Jeter was with his grandparents, they would take him to the Yankee games, and he would eventually become a huge fan. He began playing baseball in high school with a batting average of .557 in his second year. In his last year he batted .508 and had 23 RBIs and 4 home runs. 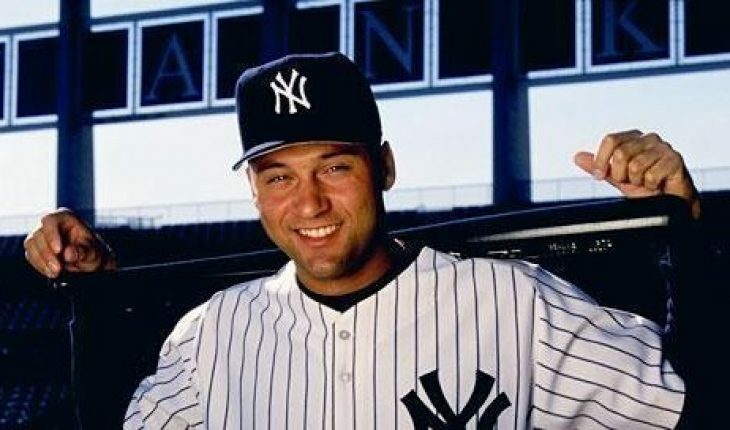 Derek Jeter made his debut for the New York Yankees in 1995. He was named Rookie of the Year as he had a batting average of .314 which included 10 home runs and 78 RBIs. During the playoffs versus the Atlanta Braves, Jeter would bat .361. He lead the Yankees to the 1996 World Series, the first of four consecutive titles. The highlight came in the year 2000. He led the Yankees to the World Series Championship and he was named series MVP. That same year he won the All Star Game MVP, the only player to do so. His career batting average is .317. Derek Jeter’s hits (as of 2009) total 2,718 and he has 1,562 runs. He has hit 223 home runs with a slugging percentage of .846. He also has 1,063 RBIs. Jeter has been in 10 All Star Games and won 4 World Series Championships. He was awarded the Golden Glove three times (from 2004 to 2006). He also won the Silver Slugger Award three consecutive years (2006-08). He was the recipient of the Babe Ruth award in 2000 and the 2006 Hank Aaron award in the AL (American League). His batting average is 5th best among currently active players. He has consistently been among the top hits and runs leaders in the AL. He trails Lou Gehrig for most hits by a Yankee player. He is only one of eight Yankee players to get 2,000 hits. He also owns the record for most singles by any Yankee player. He has one grand slam and is third on the Yankee list for greatest number of hits. He has also surpassed Babe Ruth in total doubles. He is the youngest to attain over 2,700 hits. In 1996 Jeter set up the Turn 2 Foundation. The organization aims to help young people overcome problems of drug addiction. He has also been cited by the MLB commissioner for being one of the finest goodwill ambassadors of the game. Impressive as his stats are, what truly makes Derek Jeter special to his team and the fans is his ability to deliver during the playoffs. His postseason stats show he has a batting average of .317 and holds the record for most postseason singles (108) and runs (58). It’s no wonder he is the Yankees’ team captain.